Is your garage opener showing signs of malfunction? Talk to a garage door technician and fix your problem on the spot. Prosco can recommend the best garage services. To lots of people, the garage is the most important place in their home. And for good reason. It is the one place where they can store anything and everything without thinking too much about it. It's that spot that allows them to get creative whenever they feel like it, try on DIY projects, spill oil and paint, safely park their car or motorcycle and be completely fine with it. Unfortunately, since the garage tends to be used so often and for so many purposes, it is also prone to require different types of repairs. Among them, garage door opener repairs seem to be some of the most popular ones. Dealing with a broken door opener means being unable to open and close your garage as needed, and potentially jeopardizing the security of the items stored in it. Not to mention lots of garages communicate with homes through a separate door, which means intruders could more easily break into your property if your garage door is not working right. Prosco can put you in touch with the most reliable garage door technicians that specialize in door openers in your area. They are all experienced, skilled, authorized, and insured. Struggling to fix your own garage door opener is potentially dangerous for a number of reasons. The spring tension is the most important factor to consider. A good garage door repairman knows exactly how to handle each different model of a door opener and avoid accidents and additional problems. Most homeowners will have a hard time figuring out whether their garage door opener requires some quick repairs, or if it should be replaced with a new one. A knowledgeable technician should have no problem identifying all problems and recommending the most suitable solutions. If you are dealing with a broken garage door opener that refuses to do its job, you need expert repair services. Prosco can put you in touch with the right servicemen in your proximity. 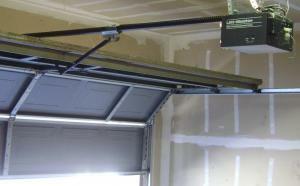 Fixing or installing garage doors and openers is a specialty service that requires a professional hand. Avoid wasting any precious time searching for different services and assessing their expertise online. Prosco can provide you with a long list of verified companies that are authorized and insured. Call their customer support number and they will put you in touch with a company that operates in your town/zip code. In case you need 24/7 emergency help with your garage door opener, torsion springs, or other important parts on your door, we are committed to connecting you with fast technicians who work nonstop, round-the-clock to serve your needs. If your garage door opener is showing signs of problems with its lighting system, or you notice any flashing lights and strange sounds coming out of it, it may require the attention of an expert technician. Sagging chains and belts or a wall button that has stopped working altogether are also common problems ties to openers. You may also notice your door humming, but refusing to move, or the remote has stopped working. All of these issues will normally require the help of specialized repair services. A broken wall-mounted button and a working remote could mean the battery should be replaced. This is usually a simple task that you should have no problem handling on your own. However, you may also need to reprogram the remote; for this, it may be best to hire someone experienced, if you have never done it before. The process is not very complicated, but it will require you to hold down the open button while pressing, then releasing the programming button. Next, you should release the open button once you will notice the opener light turning on. Depending on the model of the garage door you own, you may need to follow different steps. You can take a look at the instructions in the manufacturer's manual, or check online. Having your garage door opener diagnosed and fixed by an expert technician should cost less than replacing the entire unit. Reliable services like the ones recommended by Prosco keep full inventories of garage door opener parts in their vans, so they can instantly replace any broken or worn-out parts. Keep in mind there are legal instances when you are required to have your garage door opener replaced with a newer model; this is the case for openers that were manufactured prior to 1933 when the Federal Regulations have been updated. Also, if a manufacturer of garage door openers has been sued for any safety faults, some technicians will refuse to have the respective opener repaired. Replacement should, therefore, be mandatory. The lack of safety eyes also implies the opener does not comply with the UL 325 regulation, and replacement will be recommended. There are also times when an older brand is no longer being manufactured on the market. Garage door technicians will not be able to supply any parts for repairs, so replacement is necessary. Garage door openers rely on fast-changing technologies that can simplify your existence and help you feel more secure. A good technician will inform you about the latest openers and accessories on the market. If your garage door remote is not working well, you should hire someone to repair or replace the remote and avoid replacing the opener itself. No matter what kind of a garage door opener problem you might be dealing with, get in touch with Prosco and let us put you in touch with the best people for the job.